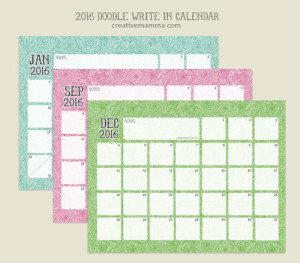 Customize, download and print out a new 2016 calendar complete with your favorite family photos! 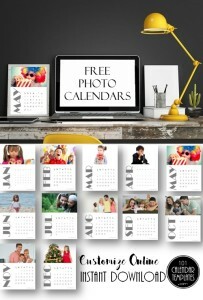 Visit 101 Calendar Templates to customize and print your free photo calendar. 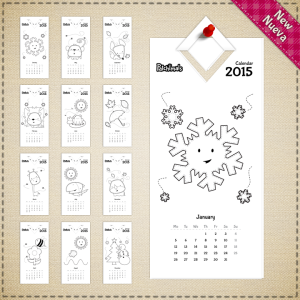 A big thanks to Patchimals for sharing their new 2015 printable calendar with us! 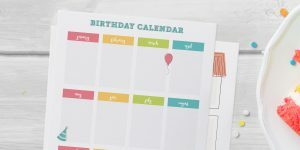 Simply download, print and paint for a fun kids activity! 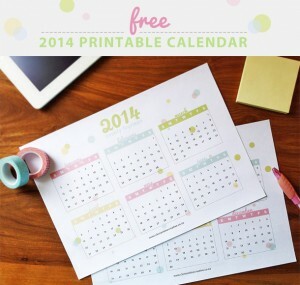 Another month, another free calendar! 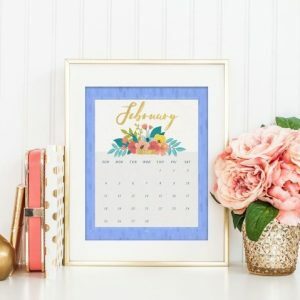 Countdown the days of August with this free printable calendar from Made by Cristina Marie (desktop version also available!). 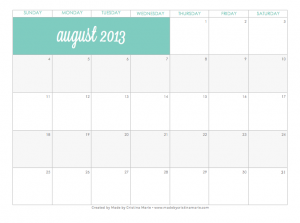 June's 3D Calendar from Crush is now available! Grab this Spaghetti Western Cowboy to help you count down the days. May is here and so is a new 3D Calendar from Crush! 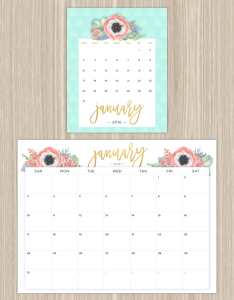 Grab this free printable and directions for creating your own secret garden printable on their blog!